So here’s a question for you ladies. 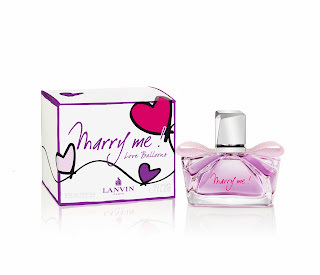 What would you do if your man proposed to you with the new LANVIN fragrance Marry Me Love Balloons? Are you the type of girl that would want the ring inside the box, see it as a joke and insist for a ring (if not in box) or throw a fit because you feel he shouldn’t propose with a bottle of perfume? Alternatively, I can’t quite figure out when you would give this scent as a gift if you weren’t proposing to someone. Wouldn’t they get the wrong idea? What other opportunities are there to buy this scent? It seems a bit sad to buy it for yourself no? After reading the release, I came up with a solution. 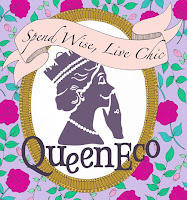 According to the release, this scent is “a declaration dedicated to couples who envisage love with…humor. Because you shouldn’t be (too) serious about that walk together down the aisle, Marry Me Love Balloons is the colorful wedding announcement of quirky love. Look for a soul mate, find each other, enjoy the moment, spray on a bit of tenderness and be madly spontaneous… Marry Me!” So perhaps these would make a great wedding announcement gift to be sent out with invitations! What do you think?